We spoke about unsolicited advice yesterday. After the first school admission notice came out in September this year, suddenly my state of mind seemed to be in a state of permanent chaos. Amidst several other concerns related to the preparation for interviews, one factor that suddenly became a priority item on our agenda was to work on his ‘fluency’ in English. In a typical middle-class Bengali household residing in Bengal, the usual mode of communication is in Bengali or Bangla, as we prefer to call it. Tuneer had started speaking quite earlier than usual and by the time he had turned three, his ability to communicate in clear sentences often led us in highly embarrassing situations for he often disclosed things that were only meant to be kept private. He spoke so much that often it would remind me of my late mother’s statement about how I was such a talkative child both at home and school. With Sr. T staying away from the city five-six days a week, my father and in-laws try to work out a schedule that ensures at least one of them being available in Kolkata at any given point. Even if my convent education poked me to make an attempt to teach this boy a couple of important sentences in English, his Bengali-medium educated Doctor father kept laughing it off. With a retired Maths Professor as his maternal grandfather and a paternal grandfather whose knowledge on technology and current affairs always turns out to be superior to us, I was fighting a lost battle. If I ever even tried to teach him the answer to a simple question like “What is your name?” as “My name is Tuneer Banerjee.”, it would be met with protests about how I was creating unnecessary pressure on the child. Their preferred answer was always his full name only since no child was expected to answer in sentences. Though I had the sympathy of the paternal grandmother, the maternal grandmother had no way of communicating her opinion from her heavenly abode. Partners in crime planning their next move to irritate me! The girl looked out of the one-roomed house at the dark clouds. The breeze sweeping through the Kans grass smelt of Durga Puja. A year back, she had celebrated their biggest festival with her parents in Bengal. Now she didn’t even know which part of the country they had kept her hidden. She had been kidnapped on the way to school. The kidnapper had gagged, blindfolded and sexually abused her. He had sold her at a brothel in a faraway hill station. She had been shocked to see his familiar face by chance. Night after night, she bared her body to strangers as they raided it to satisfy their lust. She cried for the first few weeks and then converted her soul to stone. Last night she had spotted her kidnapper. She had covered her face and lured him into the room for the final act. But she had succeeded in seeking her revenge. This is the 4th post written as part of the #MyfriendAlexa campaign as per my theme ‘Shades of Perception’. You can read the first three here. For this challenge, I am using four photos as prompts to weave two flash fiction stories and one real story behind the picture. This is my second picture prompt. Stay tuned to read the second flash fiction that I will write around the same picture in my next post. You could also consider subscribing to my blog if you like reading my stories. When I signed up for the BlogchatterA2Z challenge in April 2018, little did I know what I was getting into. As a new entrant to the world of blogging and a first timer in this challenge, posting every single day (except Sundays) looked daunting. Not knowing what to expect, I came without any preconceived notion and pre-planned posts. Luckily I had a theme in place titled “A dollop of Bengal”. However every single word associated with the alphabet pertaining to the theme was figured out only the night before the post was due. The post was written only after my toddler slept in the afternoon. Co-incidentally I had a lot of pictures clicked while exploring places in Bengal, specially Kolkata and Murshidabad last December till February. Editing them was another Herculean task that I needed to complete before hitting the publish button. The first week was all about balancing act with my toddler starting preschool since 4th April. The initial few days of helping him settle down along with daily posting was extremely tough to handle. The second week was comparatively easy and I managed to read a lot of posts from fellow bloggers too. The third week turned out to be the most difficult one with a sick toddler, AWOL cook and pending posts that needed to be published. By the time I entered the fourth week, the challenge had so exhausted me mentally and physically that at some point I almost thought of giving up. Yet I managed to cross the finishing line. My family – My father, father in law and mother in law for letting me write in peace while taking up additional responsibilities of handling the toddler and household chores. My husband for his continued support and encouragement ensuring that I finish this challenge. My toddler for not breaking the laptop or running away with my notebooks when I pleaded with him to co-operate. 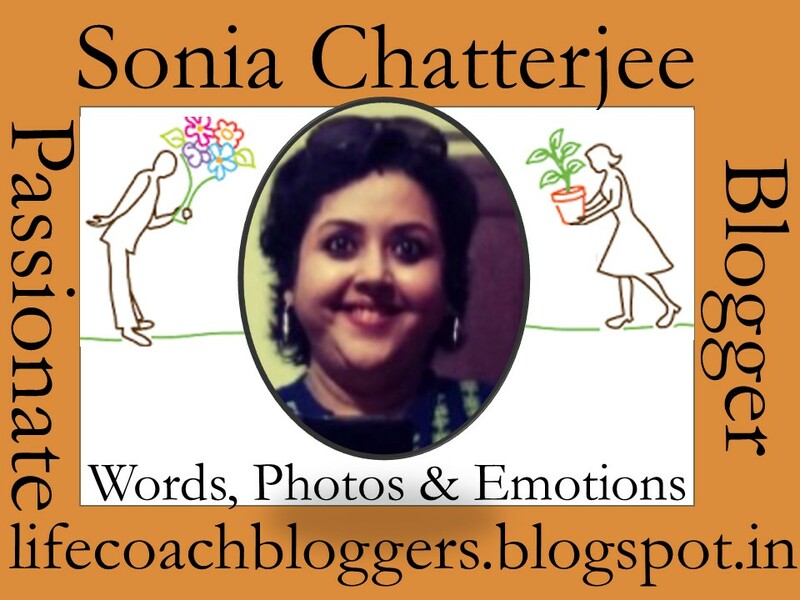 Fellow group bloggers – Blogchatter sorted us out into groups. I was privileged to have been part of one where members ensured they read each other, provided constructive feedback and lifted each others spirits when things didn’t seem to work out. I have said this before and I will say it again – Varad, Sayan, Ruchi, Jai – I am glad I found friends like you through this challenge. Tina, Roma – you are the kindest mentors I have come across. Saba, Snehalata, Shweta, Rohan, Sayanti, Shipra, Sudha, Shilpa – I am so glad to have connected with you. 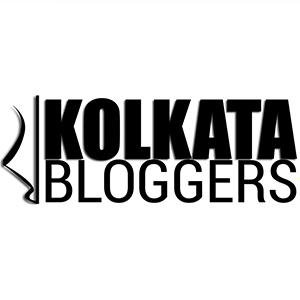 Kalyan Karmakar (Finely Chopped) – His was one of the first blogs that got me interested in food blogging. Ever since I started blogging, I have sought his advice whenever in doubt. Ever ready to help, it was a pleasure to read his comments on few of my posts. His encouragement definitely inspired me to write better. As I end this challenge and start working on my e-book next, I only have immense gratitude and a sense of belonging as my take-away from this contest. Having lived away from Bengal for sixteen long years, it was indeed challenging to return to Kolkata in 2016 and start afresh. I wasn’t even sure how much I could relate to the city anymore. It is while working on my theme that I realized how Bengal /Kolkata/Berhampore is still such an integral part of my identity and existence. I am definitely looking forward to the second edition of this challenge next year. But next time, I definitely plan to be a little more prepared in advance so that I can spend much more time in interactions and hopping onto others’ posts. Heartfelt thanks to all of you for being a part of my journey. Z could have been Zong Dog Palri Fo-Brang Monastery or another Tibetan Buddhist monastery Zang Dhok Palri Phodang , both located in Kalimpong. But Z had to be India’s oldest formally stated zoological park – Zoological Garden, Kolkata. The Zoological Garden, Alipore (also informally called the Alipore Zoo or Calcutta Zoo)with an area of 46.5 acres opened as a zoo in 1876. It is famous as the home of the now expired Aldabra giant tortoise Adwaita, who lived for over 250 years till his death in 2006. It also houses one of the few captive breeding projects involving the Manipur brow-antlered deer. The Zoo is one of the most popular tourist attractions in the city and finds maximum footfall during winter season. The zoo had its roots in a private menagerie established by the Governor General of India, Richard Wellesley in his summer home at Barrackpore as part of the Indian Natural History Project . The foundation of zoos in major cities around the world caused a growing thought among the British community in Kolkata that the menagerie should be upgraded to a formal zoological garden. In 1873, the Lieutenant-Governor Sir Richard Temple formally proposed the formation of a zoo in Kolkata, and the Government allotted land based on the joint petition of the Asiatic Society and Agri-Horticultural Society. Y could have been Yuva Bharati Stadium in Salt Lake famous for its sporting events or the Yellow taxi that has an old world charm about it. But this series is not just about bringing back nostalgia but also aims to provide the latest updates in the city. Hence the one that makes it to my featured post of the day is the fine-dining restaurant Yauatcha. Located on 5th floor of Quest Mall in Syed Amir Ali Avenue, Yauatcha is the first Michelin star restaurant of the city. This restaurant with its origin in London had already opened branches in Mumbai, Delhi and Bangalore prior to its launch in Kolkata. It has a bar and dining area. There is also an enclosed area for private dining and private parties that can host around thirty people. X barely had any other option to write about except the festival that rises beyond religion to be celebrated with zeal and fervour in the city – Xmas or Christmas. The shimmering lights, Christmas songs, rock music, delicious food, the decorated trees, gifts, aroma of fruit cake and plum-cake bring life to the city during the Christmas season. What makes this a unique affair is the fact that the festival is not just celebrated by the Christian community here but people from different communities. They offer prayers and sing carols during the midnight mass in the churches. It is an amalgamation of faith, food and fun for everyone. W could have been the iconic Writers’ Building with a historical and political significance, Waldorf – one of the oldest Chinese restaurants in Park Street or the Walking Tours that give a glimpse into the heritage and history of the city. But I couldn’t let go of an opportunity to cover an interesting topic that is essentially all about the Bengali culture and rituals – Wedding (biye in colloquial Bengali). A host of deep, meaningful rituals seeped in culture and tradition are performed amidst colorfully elegant and immensely creative decorations. The Bengali weddings are celebrations of colour, camaraderie and beauty . They are elaborate affairs with celebrations spanning for 2-3 days from morning till night. The rituals and their executions are subtly different among the two main subcultures in Bengal, the Bangals (Bengalis with roots in Bangladesh) and the Ghotis (Bengalis with roots in West Bengal). Paka Katha or Pati Potro – Generally applicable in arranged marriages, this is a formal meeting between the family members of the bride and groom to agree upon the various aspects associated with the marriage. Paka Dekha is the term used by the Ghotis while Pati Potro happens among the Bangals. Ashirvaad – The bride and groom are blessed by the elders of the family along with gifts pertaining to jewellery, saree and other items. This is followed by an elaborate feast. For certain households, ashirvaad happens only on the evening of the wedding.